This is a very nice tape for dancers new to the west coast swing. Carrie's instructions are clear and complete, using narrative instruction when the tape goes to slow motion or when the camera cuts to the feet. The slow motion scenes are great helps to aid learning. My VCR's slow motion option is pretty fuzzy, and of course, when slow motion is running my player can't the soundtrack. So having this special effect on the tape, rather than something you do with your machine, gives you verbal instruction when needed the most. Another nice touch is the name of the step or pattern right on the screen. Carrie is not a new comer to the C/W dance community, however, she is better known in California. For those readers who are just now learning about her, you may be interested to know that she has an extensive line of instructional dance videos featuring the west coast swing. She also has some new video releases with popular line dancers. I've recommended your tapes to several people. It's a very wonderful feeling, when you work hard to perfect your dancing to a better look. It's a better feeling when someone comes up to you after you dance and they tell you so, especially a stranger and they come from California. That happened to Gary and myself after we started using your tapes to better our dance style. Thank you so much. We really appreciate your hard work. 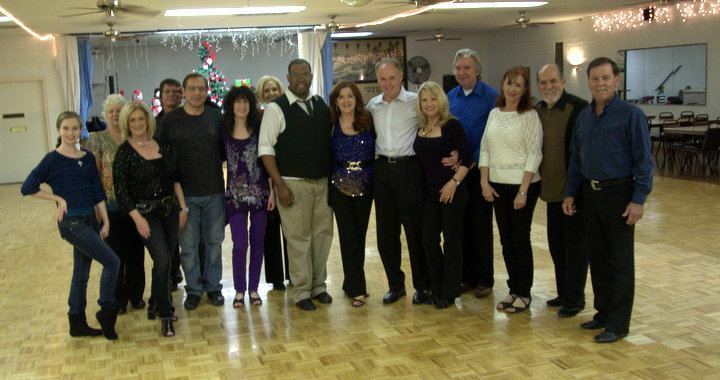 What a great WC Swing, Argentine Tango, and Swango double private lesson with you yesterday! You're a truly great teacher and amazingly positive and acknowledging with your students; even when they are being a total "klutz" or having a "duh" moment!!!! :- ) What a kind and loving behavior to have as a teacher and coach and what a huge blessing to your students! See you next Thursday at 3:30pm for more of same! Your Country Western Line Dancing video is a life saver. I used to feel like I had two left feet and so out of place in the Country Western clubs. I mean, you can only say “no thank you” so many times when asked if you want to Line Dance. So I’d get up there, stumble around and feel like a buffoon. I love Country music and the atmosphere and always felt so awkward, even afraid someone would ask me to dance. Now I am Line Dancing with confidence. If only you could have seen me in that line before and now; what a difference, I am dancing up a storm now. Your Line Dancing video made it so easy to learn, with your step by step instructions and all. I was never one for the instructional videos, but I just purchased the beginning 2-Step video. You make it so easy to learn. Thank you so much Carrie. I've learned so much from your video tapes. I truly believe that no one makes a better tape for the money than you do. I tell everyone I can about them.